It has been a very very long time since I did a giveaway, too long in fact, and everyone loves a competition, right? So here are some special prizes on offer, 4 in total going to one lucky winner. Simply leave a comment here on the blog, a winner will be picked at random from the entries. 9am, Monday 2nd April 2012. The prize will be posted shortly after to the lucky winner. Exciting! I love giveaways and giveaways that include fabric and things made from cute puppy fabric just have to be on my list! Oooo exciting. Since i already have one of your Glamour print bags, the mirror would make a great addition. And who doesnt love a pug?! Loving the fabrics, loving the giveaway! The fabrics are gorgeous and the puggie bits are great! 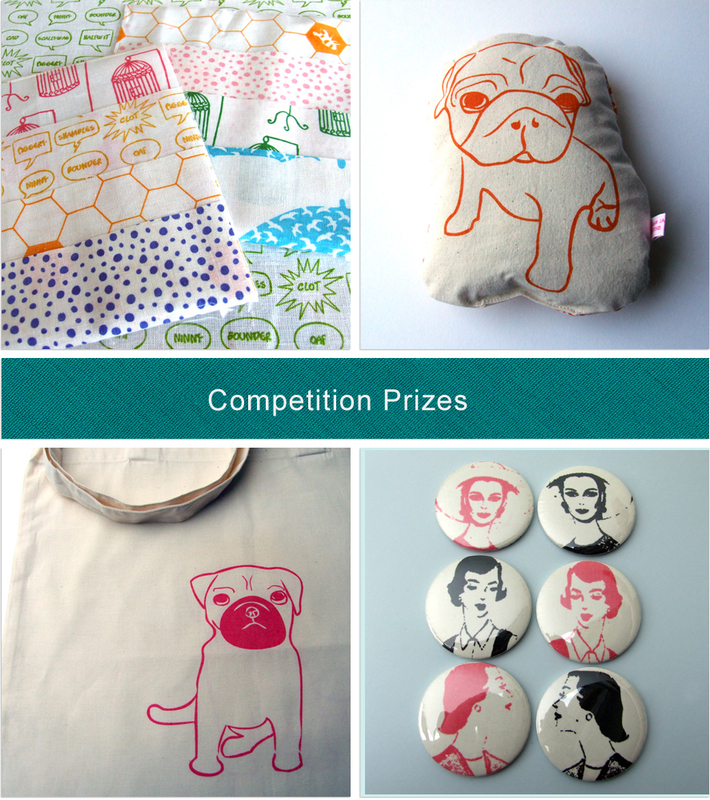 Dear Sarah I love your website – full of lovely things, but what has caught my eye the most is your gorgeous pug print. I am longing to own a real little pug of my own and when I get him I will call him Hector and I will love him so much, but alas I can’t afford Hector yet. A cute pug print would make my day. Your other work is amazing too!